This article shows how to configure the iPad to use multiple languages at the same time. This means the visitor can choose their language when they sign in, and see the iPad in their selected language. Additionally, your clerks will be able to see which language a visitor has selected, to help visitors in their native language. You can configure iPad settings if you are a Location Manager, Administrator or Owner. To find the input field settings for the iPad, go to the Locations tab and click on the location's name where you want to change iPad settings. On the next page choose iPad from the menu and then click on the iPad you want to configure. To add a new language, find the Languages dropdown. By default, Use system language is selected. This will use the iPad's system language for sign-in. Select the language that you want to use on the iPad — for example, English. 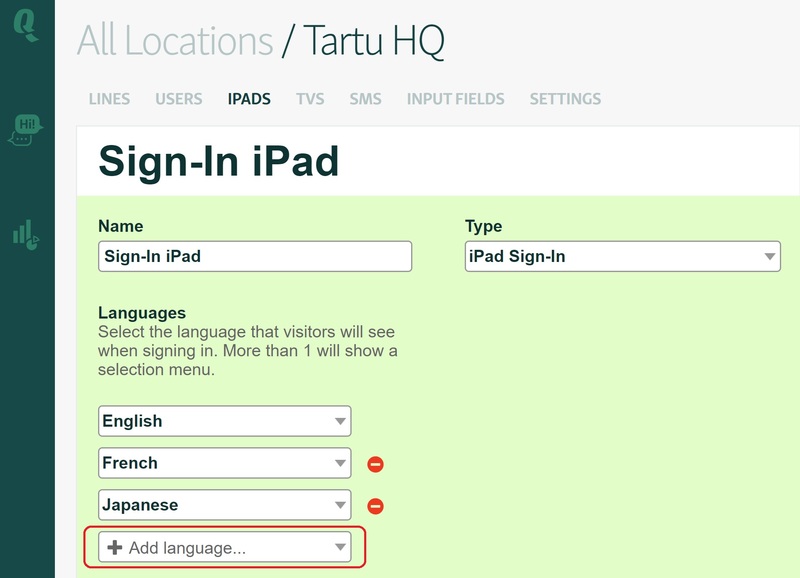 To add another language to the iPad and let the visitor choose their preferred language, click Add language... and select a language from the drop-down menu. NB! If the language you wish to use, is not listed, please contact us. 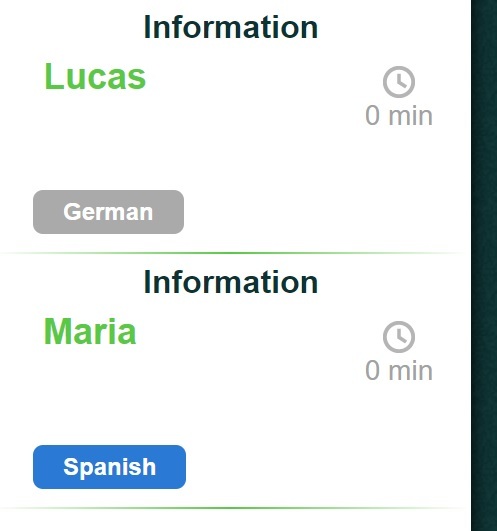 We can add new language translations to the app. When set up like the above image, the iPad will let the visitors pick between the English, French and Japanese languages. To disable a language from the iPad, use the red delete button to the right of the languages. After saving the iPad settings, the new languages will be selectable on the iPad after tapping the start button. After signing in, your clerks will see a label with the language the visitor selected. This helps you service your visitors in the language they prefer.